For Wakefield and its vicinity, we're showing you all the registered Salt Water Pools in Wakefield, some of them have no GPS coordinates and you're not finding them at the map. There are often discounts on the market to senior citizen and small children. Find out by contacting your nearest pool in Wakefield. Most in the Swimming Pools offer both open lanes for independent swimming and also guided activities like water aerobics or aquabike. The most effective pools to swim are definitely indoor olympic pools. Swimia.com needs your feedback to ensure all the data is valid, because maybe this pool is no longer open to the public. Swimia.com has the most up-to-date database about Salt Water Pools in Wakefield. Swimming is really a superb thought to keep your body active for the duration of your visit to Wakefield (Wakefield), or even if you are a local. Swimia helps you to find your closest Swimming Pool in Wakefield. Holding an estimated population of 37.713, Castleford is among the most important cities in Wakefield. Check all the Swimming Pool in Castleford and its surrounding area. Let us let you know a secret to forget about everything while you are in Kirkhamgate: just select a pool and plunge into the water! There's no much more successful process. Without a shadow of a doubt, swimming in Pontefract is the very best method to unwind right after function. 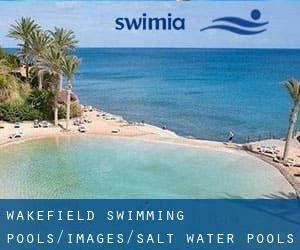 Take a couple of minutes to browse Swimia's catalog to find a Swimming Pool in Pontefract. It's difficult to visit Wakefield without dropping by Highfield. Currently Swimia is showing you all the Swimming Pool in Highfield along with the closest pools situated in its vicinity.